With Mechamania WoWt.works on a Virtual reality headset. 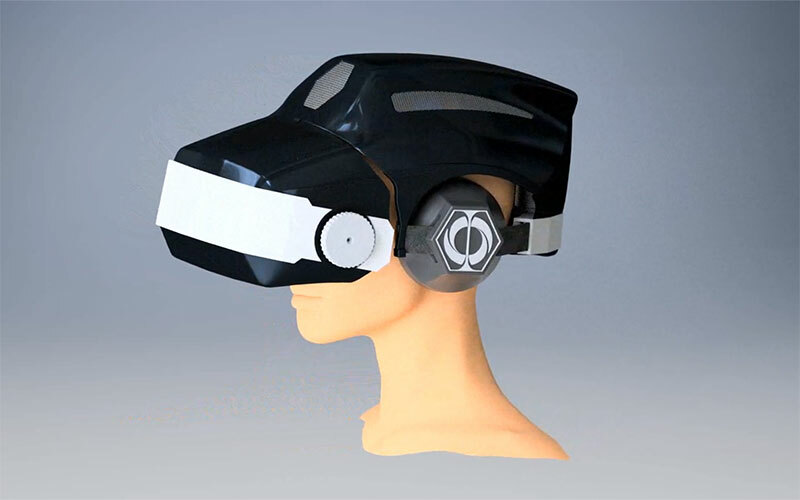 The headset is equipped for use in a public setting with a tracking system suitable for use in an advanced flight simulator. I features motorized fastening, IPD adjustment and lens positioning, superb optical tracking and eye tracking for foveated rendering and automatic lens adjustment.